Adeline Foo is an MFA graduate of New York University’s Tisch School of the Arts. She has 18 published children’s books, with five national bestsellers. The Diary of Amos Lee: I Sit, I Write, I Flush! won the inaugural Red Dot award for ‘Best Junior Fiction’ presented by the International Schools Libraries Network of Singapore in 2009. 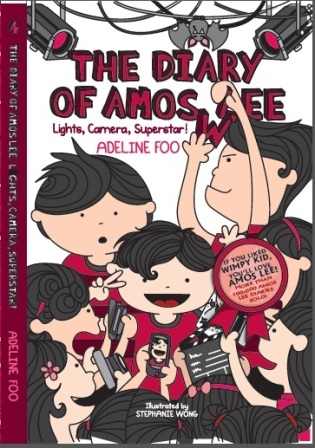 The Diary of Amos Lee series has been published by Hachette India and Lentera Hati in Bahasa in Indonesia. The books were adapted for a ten-part TV series on Singapore’s MediaCorp children’s channel, Okto. The screenplay was written by Adeline. 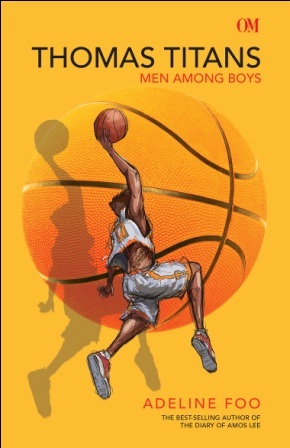 She has also authored Thomas Titans: Men Among Boys. Last modified on 2018-03-22 12:41:30 GMT. 0 comments. Top. Last modified on 2018-03-22 11:56:11 GMT. 0 comments. Top. Last modified on 2018-03-22 11:57:10 GMT. 0 comments. Top. Amos, in his last year in primary school, resolves to be voted as the most popular boy in school. But running against him is Michael, his arch enemy. In the fight for votes, Amos learns to tweet, but what he isn’t prepared for is the power of cyber warfare when Michael turns to YouTube and Facebook to cheat. Will Amos go down in the history of his school as the biggest twirp? Last modified on 2018-03-22 12:57:00 GMT. 0 comments. Top. 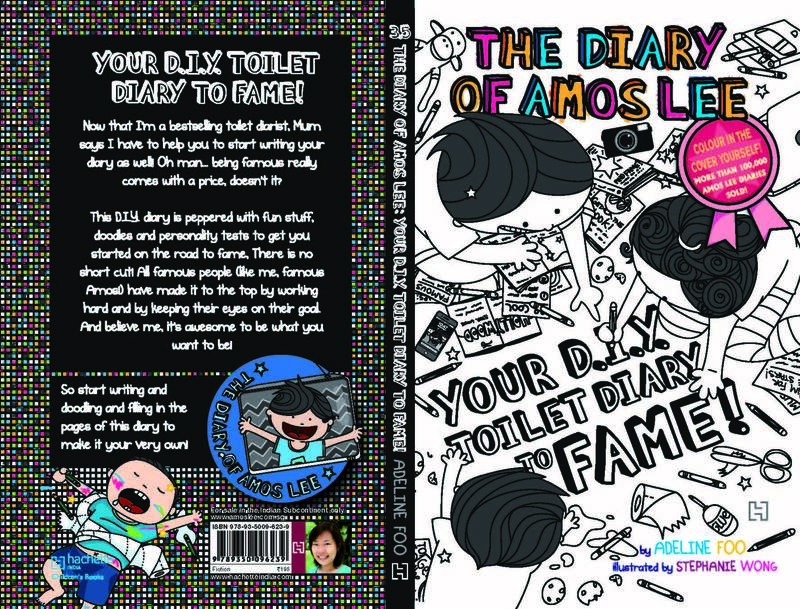 Now that I’m a bestselling toilet diarist, Mom says that I have to help you start writing your diary as well! Oh man… being famous really comes with a price, doesn’t it? This D.I.Y diary is peppered with fun stuff, doodles and personality tests to get you started on the road to fame. There is no short cut! It’s a lot of hard work! And it begins with writing. Last modified on 2018-03-22 12:56:04 GMT. 0 comments. Top. When his diaries are stolen and published, Amos thinks his world is coming to an end. But what he doesn’t realise is that he’s going to become really famous! Adoring fan mail, girls throwing themselves at his feet and, with 5,000 friends on Facebook, yes… FINALLY! Life looks to be turning around! 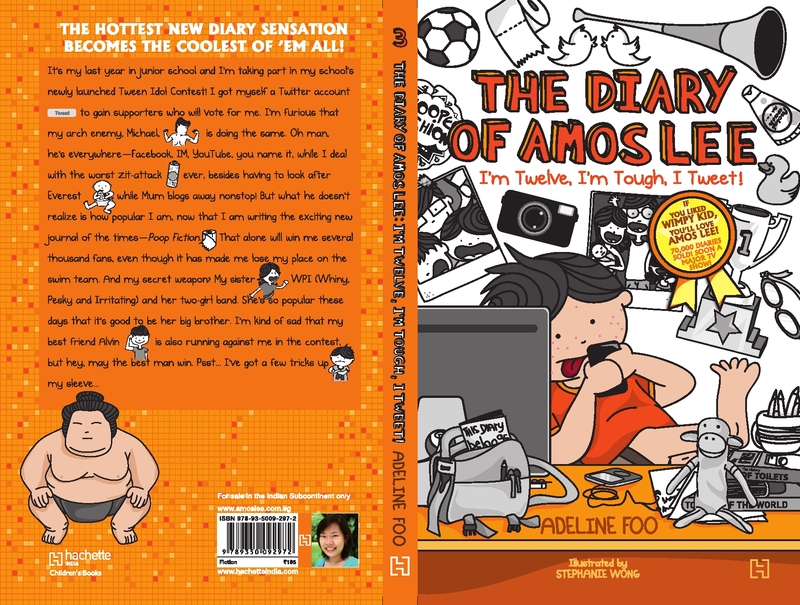 But when a TV Director offers to adapt his diaries into a TV show, Amos learns that a new boy will take over from him in becoming Singapore’s Most Famous Toilet Diarist! Filled with insane jealousy and a desire to right a wrong, Amos vows to do all that he can to stop the show. But will he succeed? Last modified on 2018-03-22 12:57:45 GMT. 0 comments. Top. When Ayush, an Indian-Chinese street kid, gets accepted into one of Singapore’s oldest and most prestigious boys’ schools, he thinks he can start life afresh. No one will know of his shady past, not when his newfound friend is but a fat, bumbling and innocent boy by the name of Lasso. But Lasso has something Ayush doesn’t − a father… and the beautiful Ariel, a ‘mermaid’ acting in a school play. When Ayush’s dangerous past comes back to torment him, he unwittingly gets his two friends involved with gangsters. Will Ayush find a way to free himself from the gang – and will he let jealousy get in his way to save Lasso and Ariel?